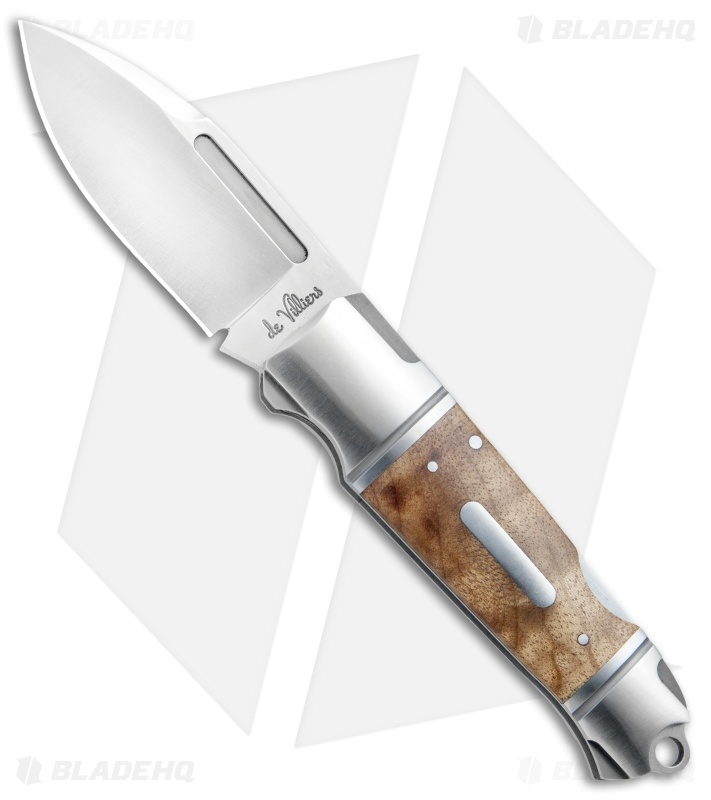 This Lockback Impi is outfitted with burl wood handle scales and a spear point blade with a satin finish. The Impi features a D2 tool steel blade with a satin finish and a bead blasted finger groove along the length of the blade for convenient opening. 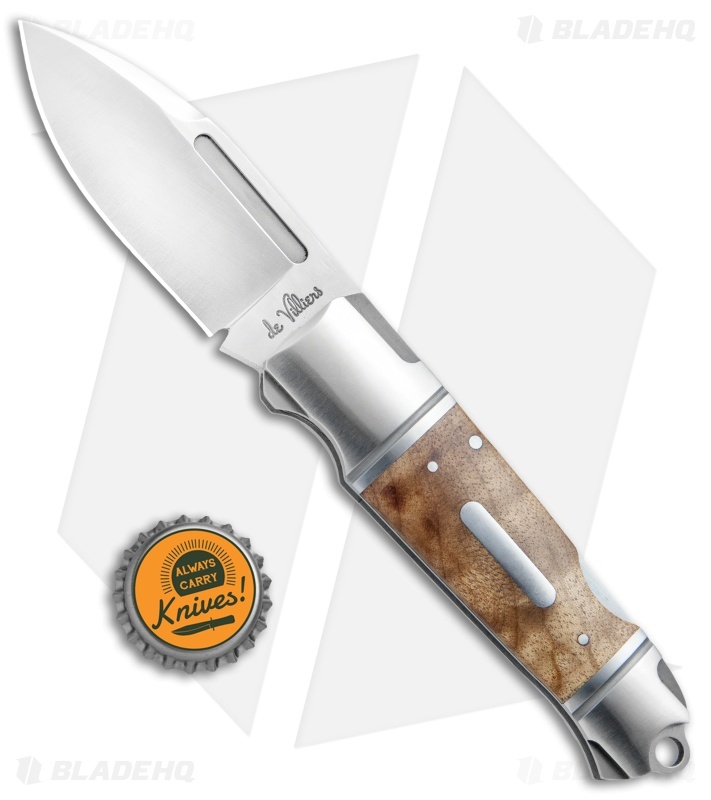 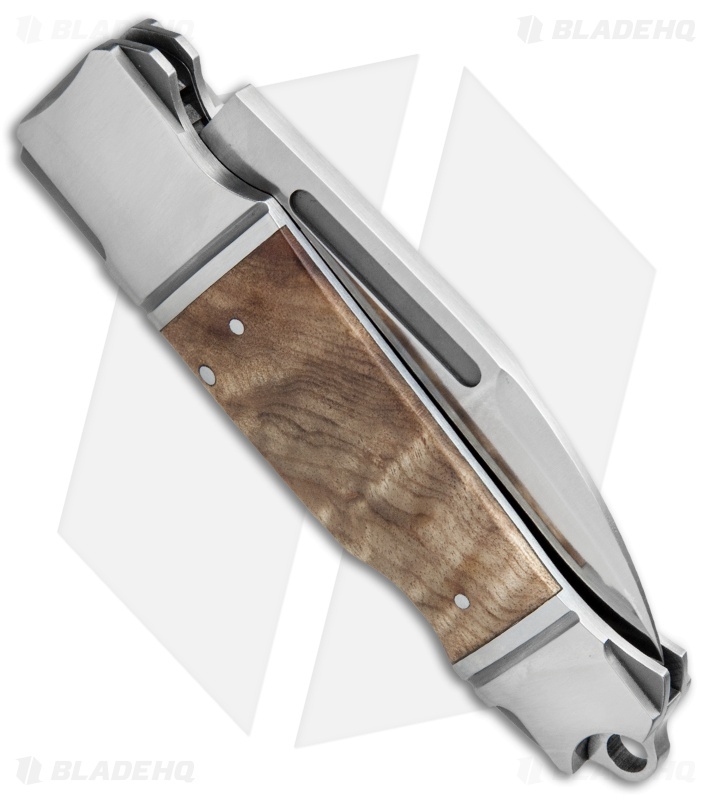 A classic ADV stainless steel bolstered design is accentuated nicely by rich burl inlays and an extended lanyard hole. 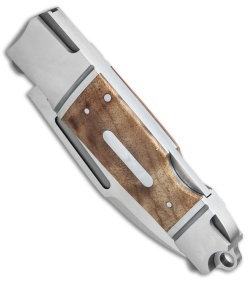 Includes a padded velcro pouch for comfortable EDC.